Product #17699 | SKU 2685956 | 0.0 (no ratings yet) Thanks for your rating! 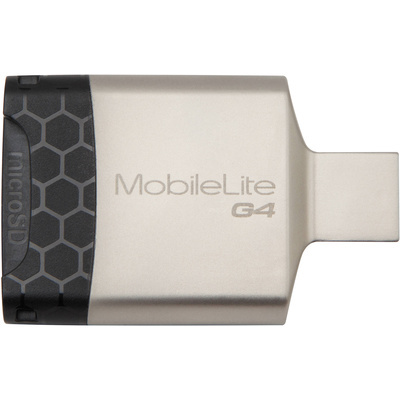 The MobileLite G4 Multi-Function SD / microSD Card Reader from Kingston simplifies the process of transferring data from both standard SD and microSD memory cards to your computer. Simply insert any SD/SDHC/SDXC/UHS II, and microSD/SDHC/SDXC UHS-I memory card into the adapter and then insert the adapter into a compatible USB 2.0 or USB 3.0 port on a Windows, Mac, or Linux based computer and begin transferring data to and from the SD or microSD memory card.